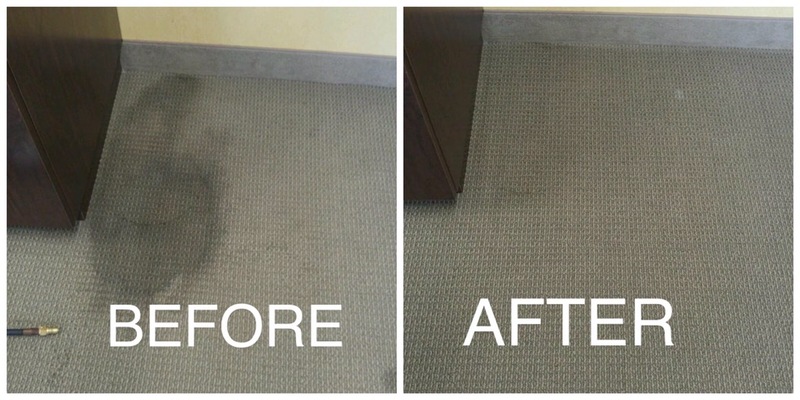 This was a stain we took care of for one of our commercial clients — Selective Insurance. They called us on a Monday to have a coffee stain removed. That night, we had one of our lead technicians go in and remove the ungodly stain! They were very pleased with the results — as were we! We were able to remove it utilizing a special stain remover and our thorough and deep cleaning process. These processes and amazing results are used in both our commercial spaces as well as residential.